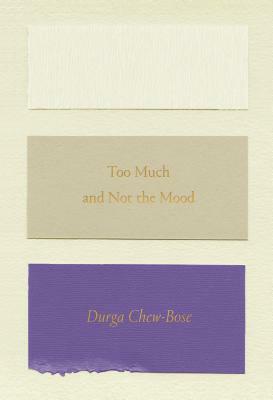 From Durga Chew-Bose, “one of our most gifted, insightful essayists and critics” (Nylon), comes "a warmly considered meld of criticism and memoir" (New Yorker), a lyrical and piercingly insightful debut collection of essays about identity and culture. Durga Chew-Bose is a Montreal-born writer. Her work has appeared in The Globe and Mail, Hazlitt, Filmmaker, The New Inquiry, and The Guardian, among other publications. She is the author of Too Much and Not the Mood.